Excellent turning circle. Very easy to park. Compact size. Low emissions. Proving to be more popular than Renault Twingo stablemate. 71PS engine lacks grunt out of town. More expensive than rival cars. Report of 2016 Smart ForFour, biught used 2 months previously, spontaneously combusting under a car cover while parked after being left for 3 weeks. 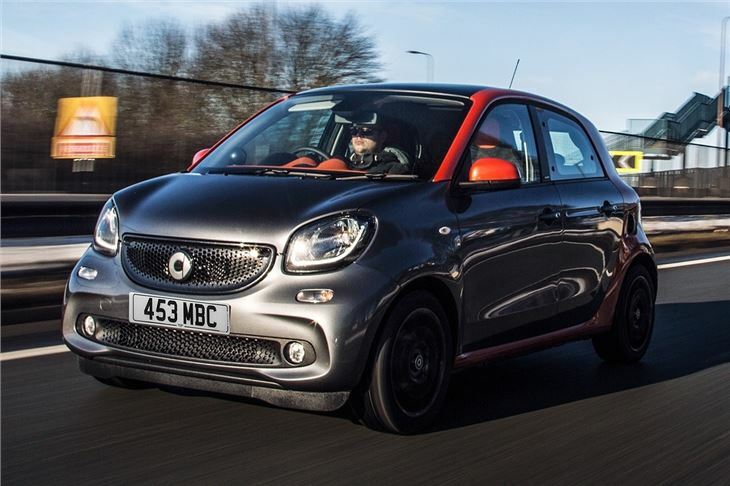 At face value the Smart Forfour seems pointless, since most people would only buy a Smart for its tiny, two-seater layout - but in reality the Forfour is arguably a better buy. It is still very small, but it comes with the added practicality of a bigger boot, two more seats and numerous practical touches to make urban life easier. 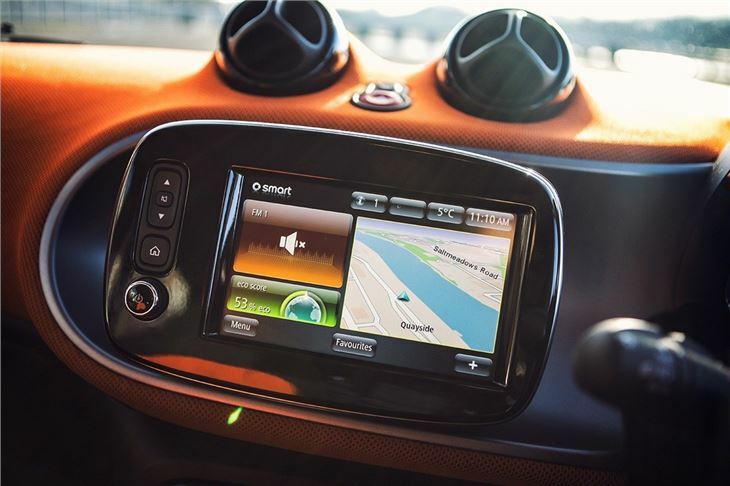 In towns and cities the Forfour feels just as compact, lithe and nimble as the smaller Fortwo, with a tight turning circle that makes small spaces and multi-storey car parks a doddle. The light controls and short length make town-driving incredibly easy. Go for an entry-level 71PS 1.0-litre engine and there’s enough zip for narrow streets, but at higher speeds it feels out of breath and lacks any punch. Thankfully, if you spend time on motorways and dual carriageways the 90PS 0.9-litre turbocharged petrol engine is perfectly capable, offering noticeably more torque and far better performance. Both engine options are clean and frugal, with emissions below 100g/km and official economy figures of 67.3mpg for the 71PS engine and 65.7mpg for the 90PS engine. 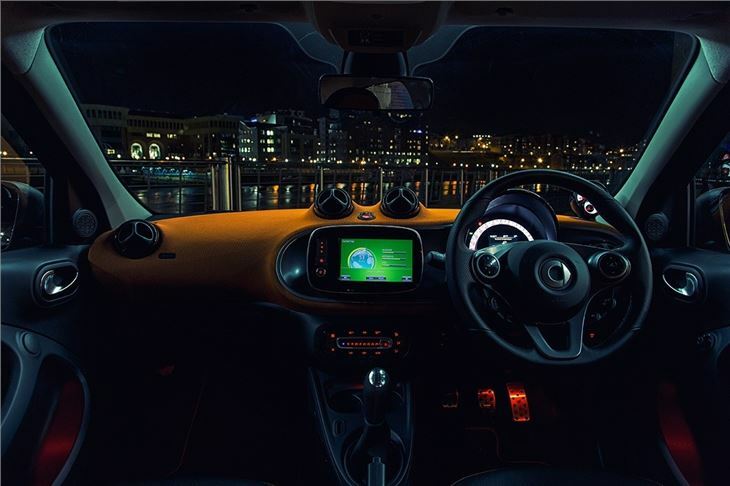 Obviously the main difference between the Fortwo and the Forfour is the addition of two rear seats. These have space underneath for storage, or they can be folded in two ways. Either the seat bottoms can be flipped down for storing tall items or the seat backs can be folded forward to give a good-sized, flat load area of 975 litres. 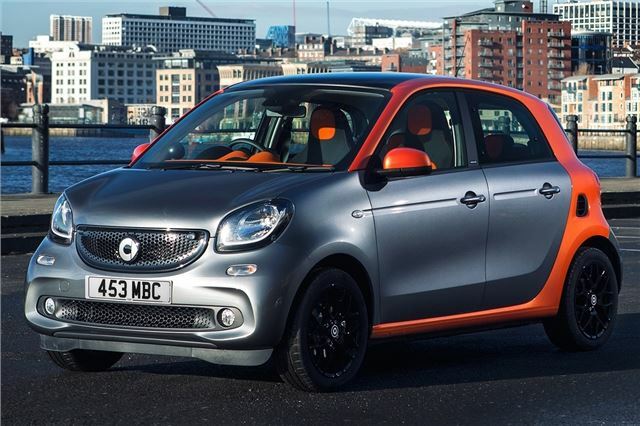 This added practicality comes at the expense of size – the Forfour is 800mm longer than the Fortwo. However in reality the Forfour is noticeably shorter than a Ford Fiesta, so it never feels like a large car. 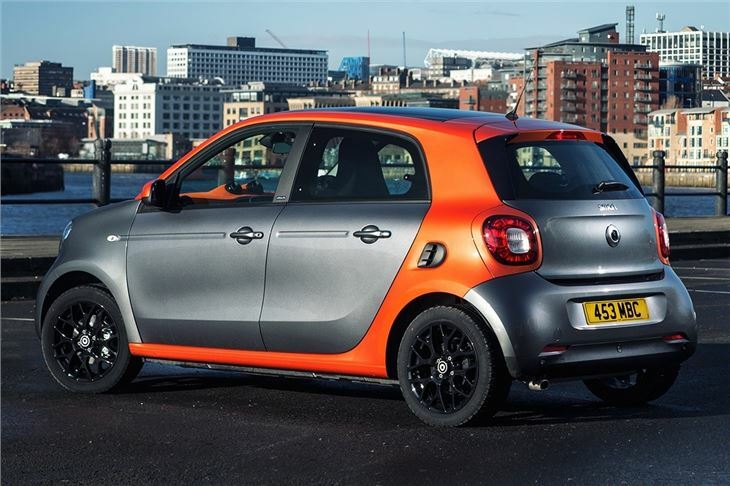 If you like the Smart styling and urban capability but the Fortwo’s lack of space has been offputting, the Forfour is precisely what you’ve been looking for. The price is fairly steep though – rivals like the Volkswagen Up are just as practical and are as cheap to run, but cost less to buy. 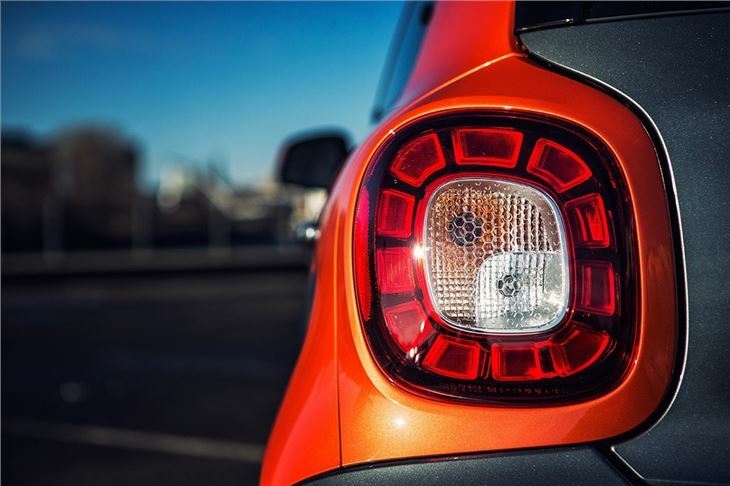 Similarly the new Renault Twingo, with which the Forfour shares the majority of its major components, is cheaper to buy. 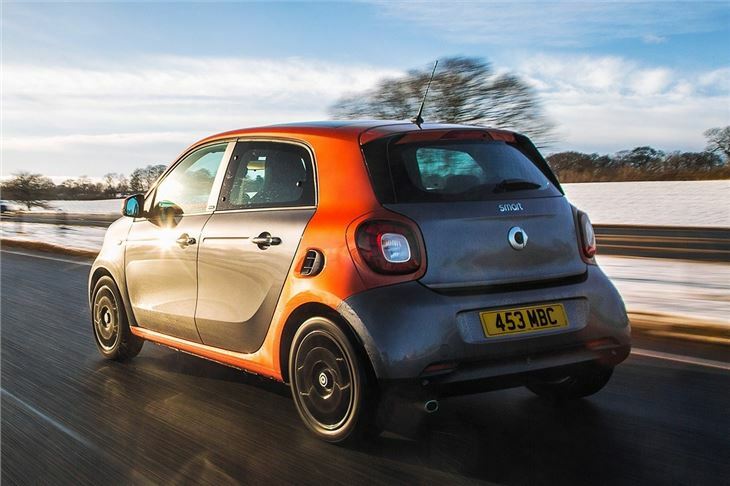 It is still easy to recommend the Forfour though, thanks to good levels of standard equipment and quirky styling. Much promise, not quite transformed into reality.